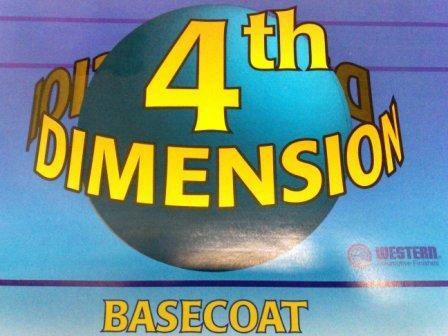 The Dimension® low VOC technology is "ahead of the curve" in delivering a 3.5 VOC Solvent borne Basecoat and a 2.8 VOC Single Stage in one compact system. AWX™ the waterborne basecoat /clear coat system offers a waterborne basecoat, as well as ancillary products such as Ultra High Performance low VOC clear coats that provide faster drying times, easier application, superior hiding, coverage and color matching that improve shop productivity. use of the recommended sealer is suggested. Genesis M is a high performance, low VOC, low HAP's, two component acrylic polyurethane topcoat that resists marring, stone chips and harsh environments. Genesis M is an easy to use, high gloss, extremely durable, chemical resistant air-dry and force-dry acrylic polyurethane topcoat that is available in solid colors only. It is an extremely versatile product and is recommended for use on airline ground support equipment, beverage trucks, concrete trucks, DOT equipment, waste trucks, public transportation equipment and other applications. Additionally,Genesis M is specifically designed for manufacturers requiring excellent hiding and sag-resistance.